Call us on 01582 485555 to get a quote today. For venues where noise is an issue we are pleased to be leading specialists in quiet fireworks. Using colourful comets, mines and roman candles we can create quiet firework displays every bit as spectacular as their noisier counterparts. Conveniently located just 12 miles from Central London, Hertfordshire is a county well-recognised for its unique identity and rare balance between rural and urban landscapes. Comprised of thriving towns including the cathedral city of St Albans and Premier League Watford, there’s a location to suit different themed weddings and budgets. Tucked away within 1000 acres of sweeping Capability Brown parkland straddling the Herts/Beds border lies Luton Hoo, an 18th Century Grade 1 listed Mansion House. 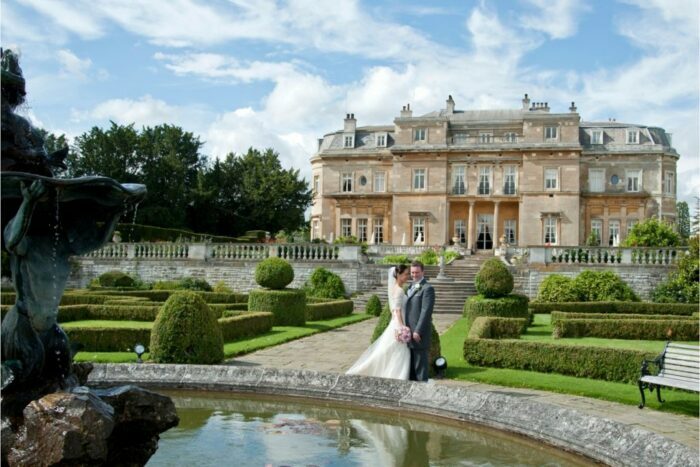 Queen Elizabeth and the Duke of Edinburgh frequently visited the 5-star venue during their early years of marriage to celebrate a number of their wedding anniversaries and so it would seem that weddings at Luton Hoo comes with a certain Royal approval. The hotel is capable of hosting intimate ceremonies for as few as 8 guests, up to a lavish ceremonies and receptions for up to 120. Its marble interiors and splendid appointed rooms include the spectacular Romanov Suite which features stained glass and icons. For a unique and tranquil setting, consider their enchanting Warren Weir venue which can cater for up to 290 guests. With panoramic views across the River Lea and woodlands beyond, a wealth of stunning photographic backdrops awaits you on your special day. Set the scene on your big day with the Brocket Hall Estate, an imposing 18th Century building which is considered to be part of one of the most fashionable and romantic estates for weddings and grand celebrations. Set in 543 acres of parkland, the venue offers a fascinating history and overlooks the magnificent Broadwater Lake- the perfect backdrop for your big day. Brocket Hall boasts the presence of some of the most influential individuals to the stately home including George IV, Queen Victoria and the infamous Lady Caroline Lamb who introduced the Waltz to England in the Ballroom – which can accommodate 50-150 guests for your wedding breakfast and a total of 200 for the reception.There are also 30 luxurious double bedrooms within the venue and a further 16 in their Melbourne Lodge for overnight guests. Whether you opt for a civil ceremony, reception or indeed all special occasions, a team of Butlers will cater to all your needs to ensure your experience at Brocket Hall is an exceptional one. End your fairy tale wedding with magical fireworks over the lake. Fantastic Fireworks have been working with the venue for many years and cannot express enough how perfect the venue is for wedding fireworks. 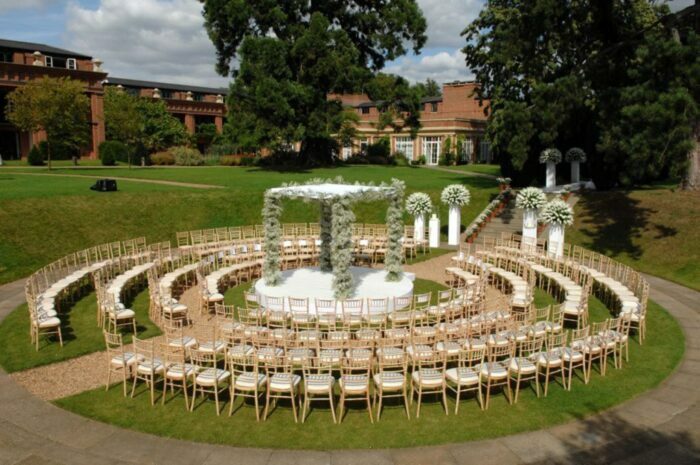 Set in 300 acres of Hertfordshire countryside, The Grove is where wedding dreams come true. The exclusive venue boasts an exceptional service which will ensure your big day is planned down to the last exquisite detail. The distinguished grand country house was also once home to the Earls of Clarendon. What sets The Grove apart from other venues is its flexibility and exceptionally wide choice of space which enables you to virtually create whatever atmosphere and setting you desire for your big day. This ranges from venue choices including the sheer elegance of The Amber which features glorious high ceilings and French doors to the Potting Shed which is set in 3.5 acres of their splendid Walled Garden. The wide open grounds prove to be the perfect spot to create create majestic sweeps of colours and starbursts of pyrotechnics to complete your fairy tale experience. Picture this: arriving along an ancient chestnut avenue and being welcomed by a vista of 250 acres of deer park unfolding before you, and in the distance the turrets, heraldic beasts and towers of Knebworth House. The venue is a lovely restored 16th Century Tithe Barns which will pose as the ideal backdrop for your big day. 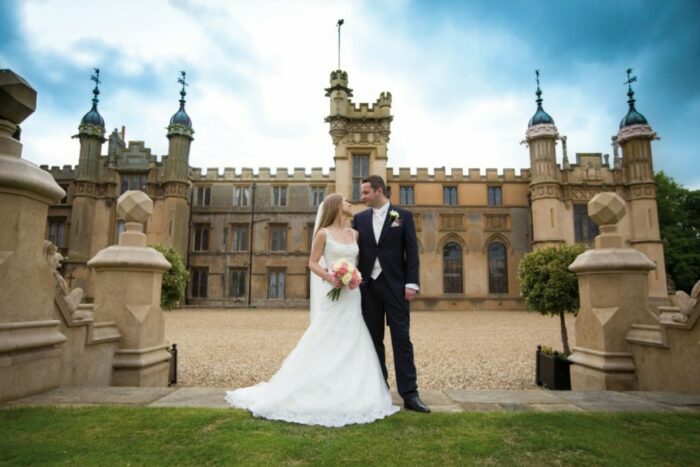 Knebworth House makes the perfect backdrop for a wonderful wedding. You can choose from Tithe and Lytton Barns, Garden Gazebo within Knebworth House Gardens and Knebworth House itself for your civil ceremony. The present design of the garden mirrors the Victorian and Edwardian times, offering you a historic feel for your big day. For something more contemporary, opt for the Cobbold Barn which features a beautiful oak structure which opens onto a private garden area. 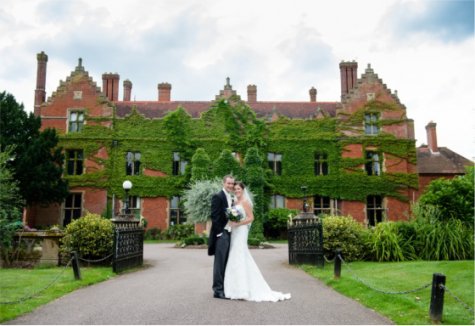 We are delighted to include this beautiful wedding venue near Broxbourne. With its majestic tree-studded lawns and impressive indoor and outdoor reception halls, the Hertfordshire Golf and Country Club makes for a wonderful venue to plan your wedding. Enjoy the elegance of the luxury countryside estate combined with the rich and romantic history of the Manor. It’s the perfect backdrop for your wedding photographs and wedding fireworks.